The National Housing Federation are developing a new way in which residents can work with their Housing Association to ensure that they continue providing excellent and relevant services. They have developed a draft plan 'Together with Tenants'. They are currently consulting and would welcome input from our tenants. For more information and to provide feedback, please follow the link webpage for tenantsand residents. householdquotes.co.uk to help homeowners and tenants avoid paying too much for jobs in the home. There are over 500,000 people in the UK in debt and looking for help and advice. There may be debt schemes that can allow you to become debt free quicker than you think. 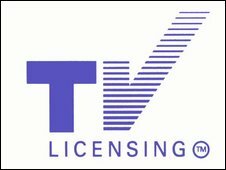 Please remember that you don’t automatically get an over 75 TV Licence on your 75th birthday. You have to apply for one. Please contact www.tvlicensing.co.uk/over75info for further information. Age UK offer a free national advice line and local advice which helps hundreds of thousands of people every year, from exercise classes to mobility aids, their products and services help make lives easier & safer. They run befriending services, pairing an older person with a befriender to help provide companionship. Please contact http://www.ageuk.org.uk/ for further information.